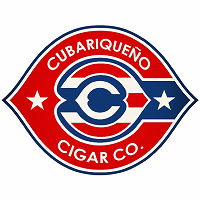 Juan Cancel and Bill Ives will tells about what's going on with Cubariqueño Cigar Company and teach Logan how to say "Cubariqueño"... Should be fun! Seriously though, the Protocol has been a wild success for Juan and Bill so we'll talk about that, about working with the folks at La Zona and what's next for Cubariqueño. Rob sits down with the guys from Cubariqueno to talk about their Protocol cigar.